Gluten-Free Spinach Tortillas Recipe: Also Vegan and Starch-Free! 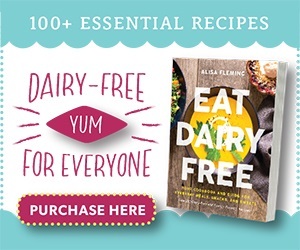 You are at:Home»Dairy-Free Recipes»Bread»Homemade Spinach Tortillas: Gluten-Free, Vegan and Starch-Free! Have I got a fun recipe for you! 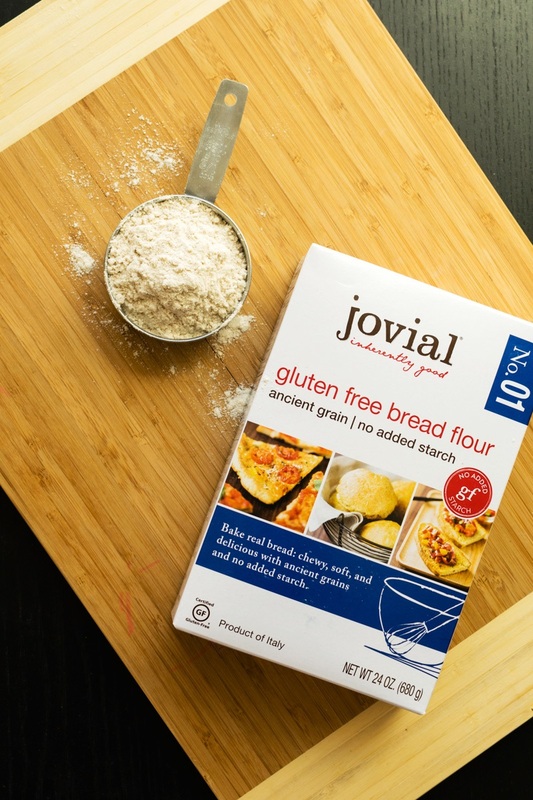 Jovial Foods has recently released a whole line of gluten-free flour blends with no added starch. And to show us how wonderful it works, they’re sharing a delicious dairy-free recipe for homemade gluten-free spinach tortillas. The gluten free jovial flour blends include No. 01 gluten free bread flour, No. 02 whole grain gluten free bread flour, No. 03 gluten free pastry flour, and No. 04 whole grain gluten free pastry flour. Technically, they all include loads of whole grains, including sorghum flour, millet flour, and teff flour. But the No. 01 and No. 03 also contain some organic rice flour and organic corn flour. However, none of them are made with any starches! I received samples of the No. 01 gluten free bread flour and was immediately impressed not only with the ingredients, but also with their allergy-friendly note. 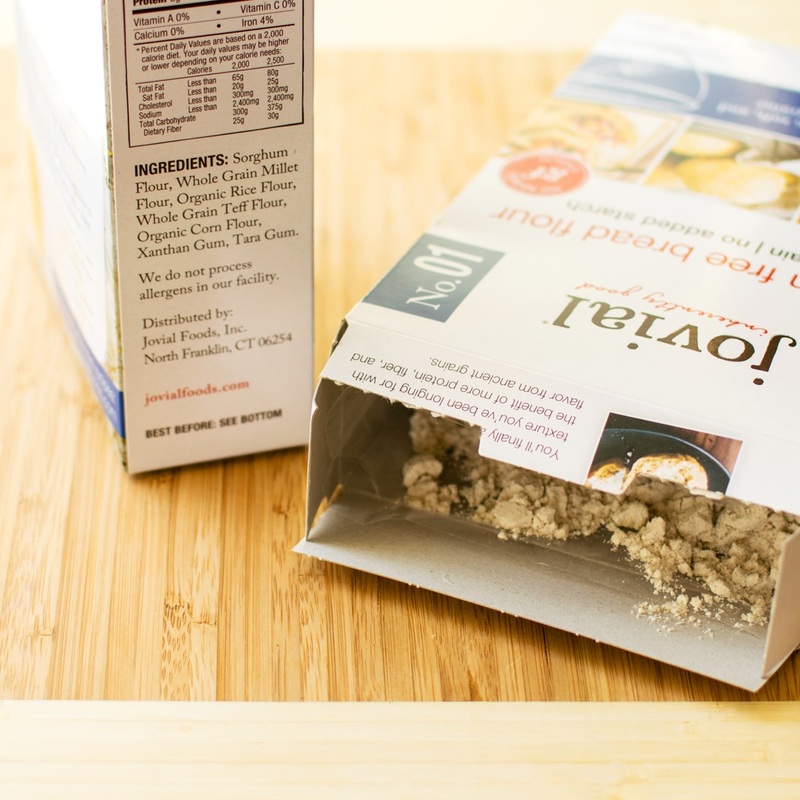 It states right on the package, “We do not process allergens in our facility.” Beyond wheat, milk powders, soy flour, and nuts can also be problematic in flour facilities. 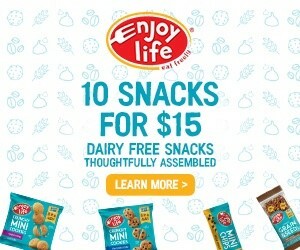 So it is great to see that they practice allergen safety for dairy, soy, and nuts. Unlike many gluten-free flour blends, jovial also smelled very fresh upon opening and had absolutely no bitterness in the taste! 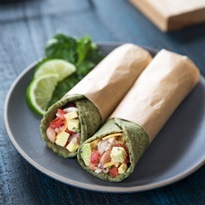 As for the gluten-free spinach tortillas recipe below, you can use the No. 01 or the No. 02 jovial gluten free bread flour. Both will produce rollable, fillable, burrito-worthy results. And if you aren’t in the mood for spinach, then you can try jovial’s Gluten Free Whole Grain Tortillas Recipe (also pictured below). This recipe post for homemade gluten-free spinach tortillas is sponsored by jovial foods, the makers of gluten-free, allergen-free, and organic einkorn foods. 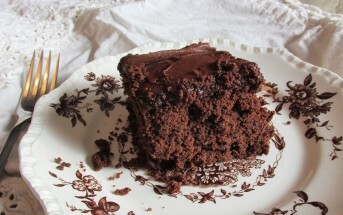 The recipe and recipe photos were supplied by jovial, but the opinions and product photos are my own. 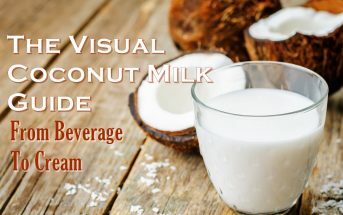 By ingredients, the recipe below is dairy-free / non-dairy, egg-free, gluten-free, nut-free, peanut-free, soy-free, sugar-free, vegan, plant-based, and vegetarian. We prefer to add spinach to our tortillas because they look beautiful, taste great, and the moist spinach helps make the cooked gluten-free tortilla rollable. 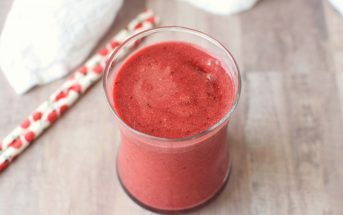 In a small bowl, whisk together the flaxmeal and 6 tablespoons cold water. Bring some water to a boil in a large saucepan. Reduce the heat to a simmer. add the spinach, and cook for 2 minutes. Drain the spinach and rinse with it cold water. Squeeze the spinach to remove all of the excess water. Put the cooked spinach and remaining 1 cup cold water in your blender. Blend until smooth. In a large mixing bowl, whisk together the flour, baking powder and salt. Add the shortening and oil and whisk until the mixture is sandy and the shortening pieces are as tiny as possible. Add the flax and spinach mixtures to the mixing bowl and stir until the spinach is well distributed. Divide the dough into 14 equal pieces. Lightly flour your hands and roll each piece between your palms to form a ball. Open a 6 ¼ -inch tortilla press and spread one 15-inch piece of plastic wrap over the upper and lower plates. Place a ball of dough on the lower plate, just off center toward the hinge of the press. Close the upper plate and press with the lever until the dough reaches the edge. Release the lever and gently lift the upper plate off of the tortilla, leaving the plastic wrap in contact with the tortilla. With your fingers grab the edge of the plastic wrap and lift the tortilla off the bottom plate and place it flat on a baking sheet, leaving the tortilla in the plastic wrap until ready to use. Repeat with the rest of the dough. You can stack the tortillas three high on a baking sheet, keeping them as flat as you can. Place the baking sheet in the freezer for at least 1 hour, or until the tortillas are stiff and you are ready to serve them. Heat a skillet or cast iron griddle over medium-high heat. Remove one tortilla from the freezer and peel off the plastic wrap. Place the tortilla in the hot skillet. Cook for 90 seconds then flip and cook the other side for 30 seconds. Place the cooked tortilla on a towel and cover with another towel to rest and soften while you cook the remaining tortillas. Serve the gluten-free spinach tortillas warm. Tortilla Press: A tortilla press is key to making homemade tortillas. Without one, the tortillas will cook up thick, more like flatbread. They'll still be delicious, but if you want to call your bread a tortilla, we recommend investing in a press. Freezing Note: Freezing each pressed tortilla before cooking makes them easy to handle and cook. Cooked gluten-free spinach tortillas will not stay fresh for long, so this is a great way to make them ahead. Prep the tortillas, cook what you need, and then transfer any uncooked tortillas to a sealed plastic bag and keep them in the freezer for up to one month. These flours sound fantastic! Love that they are so allergy conscious. They’d be great for our Celiac camp, as we deal with so many additional allergens. Hope I can find them near me some day! Thanks for this great post! I’ve wanted to try making my own gluten-free tortillas, but didn’t know where to start. Wow these tortillas look amazing! Im excited to try them out myself. I haven’t tried this GF flour. I need to. I love making tortillas, and the spinach is an added treat. You definitely do then Linda! If you’re a homemade tortilla fan, then this one is worth trying. What a delicious recipe! I love how fresh and healthy these are. Great to make them g-free too! I know! I never think of spinach wraps as actually having so much real spinach in them! These look so delicious Alisa. Soft and chewy, just like I like them! I kind of want to shove one into my mouth as I type…I’ll have to try that flour blend! Oh my! These would be a hit at my house for sure! I need to give this recipe a try very soon! You definitely do. Enjoy Kristina! Very impressive! I’ve been looking for more gluten-free options that I can use at work (since we’re very allergen-conscious) and none of the existing flour blends make the grade. They’re all highly processed, bleached, nutritionally void starches; not “Nourish” material. I hope I can find and test this one out. It sounds like this one would fit the bill Hannah! I hope it goes well in your tests! Oh wow, I love Jovial. I’ll definitely have to look for these and put them to the test! It’s a great brand, isn’t it? I don’t know if I’ll buy a tortilla press but I can still get on board with this in flat bread form! Sounds so yummy! Haha, indeed, flatbread is okay with me, too. More thickness to love! These look so delicious! Making these at home looks so easy! Love this healthy and gluten free option! Agreed. They look so perfect – it’s almost hard to believe they’re homemade! These look so tasty! Perfect for wrapping up anything and everything in! Wow!! I had no idea there was a gluten-free variety of bread flour on the market! 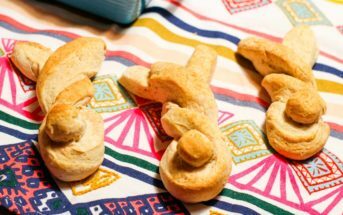 I’d love to give this a try in our usual homemade bread recipe! Totally worth it for these beauties, no? And seriously, homemade tortillas are AMAZING. Looks like I need to invest in a tortilla press! 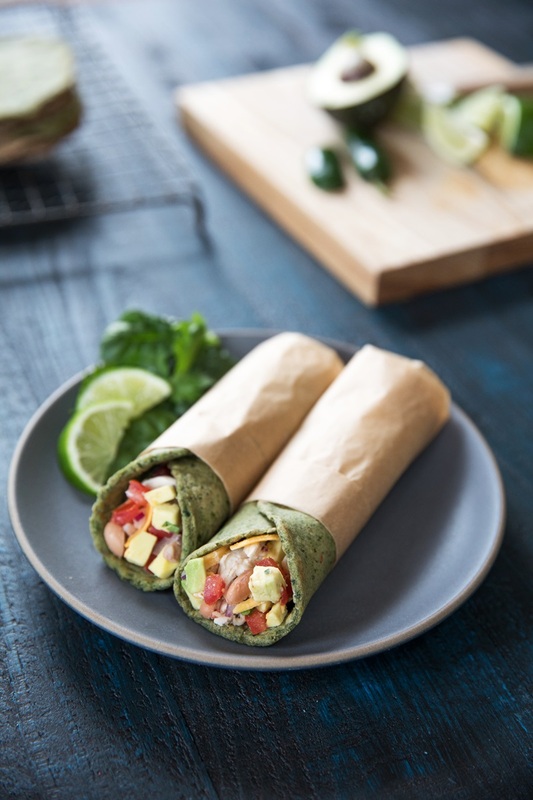 Love the addition of spinach to give these tasty tortillas some extra nutrients + color! I would LOVE to make my own tortillas. This is a great recipe and I’ll definitely have to give it a whirl. I definitely want to make these! We use tortillas all of the time. It would be so great to have homemade ones on hand (with an added bonus of hidden veggies)! These look just gorgeous! 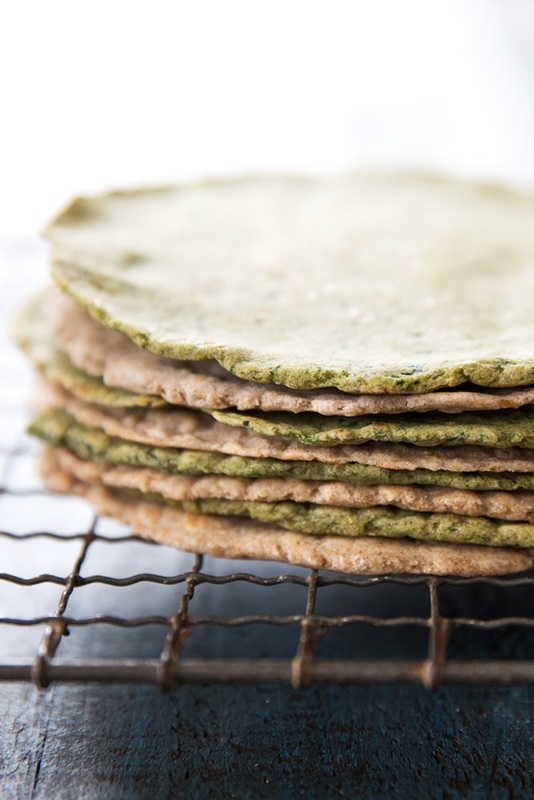 I love the idea of making your own spinach tortillas! I’ve seen them at the store but they are full of awful ingredients, so I never buy them. These look amazing! Agreed! These are so much better than just about anything similar that you could buy! These tortillas look amazing! I actually have a tortilla press, so I need to pull it out of the closet and give these a try! Time to put that thing to good use! Tortilla presses are too much fun.